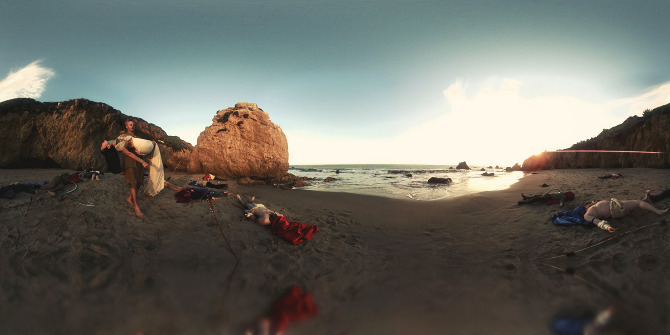 These last two years, a new, hot phenomenon in music videos emerged: the interactive 360 degrees video. 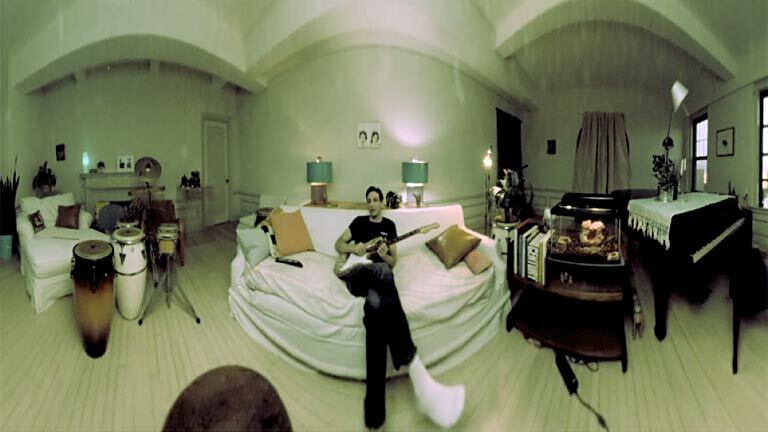 From obscure indie bands to rock giants, you can’t go without a panoramic video these days. 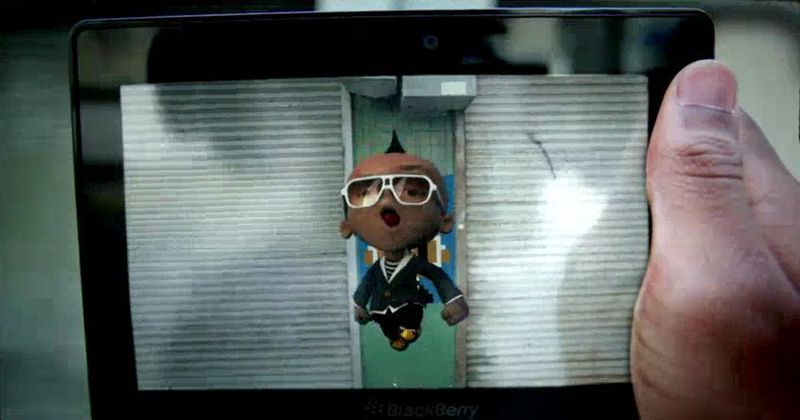 When watching, the viewer can control the camera by pressing keys, or by moving the mouse or tablet around. Experiencing such videos for the first time, there’s a big ‘whoa!’ But after seeing more and more of them, it makes us curious about what the future will bring. Helicopter view? 4D?! In our interactive video section, you can see an explosion of such panoramic videos going on. In their song ‘Brothers’, Synth pop duo Tanlines takes you into their living room, where you can see them just chilling out. There’s not much going on, so where to watch? Secret hint: focus on the piano at the beginning of the song, where you can see a crew member duck behind, a bit too late for the beginning of the take. Gotcha! The Red Hot Chilli Peppers also jumped the 360 degree wagon. 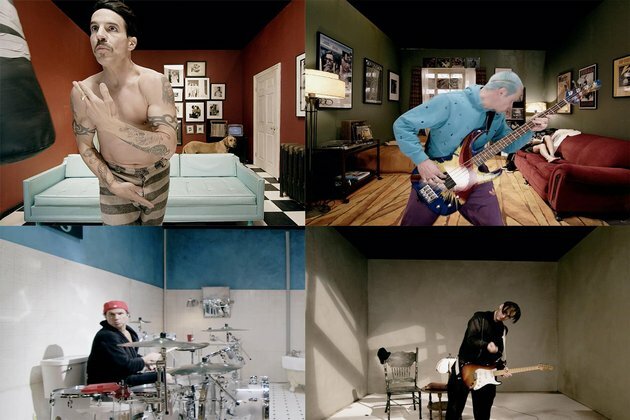 In ‘Look Around’, the Peppers placed the camera on the axis of four opposing rooms, where every member of the band is doing his thing. But there’s so much going on (not to mention all the objects in the rooms, that hyperlink to background information) that you feel like missing out in the other rooms behind your scope all the time. A whole different deal is ‘Are We’ from Graig Wedren, directed by Tim Nackashi. This video consists of several highly dramatic theatrical scenes, instead of one take, including many actors. If you’re looking in the right direction, you can see them slaughtering each other like natives, jumping into a swimming pool or watching TV. It gets really impressive (and nauseating) when even the camera starts moving over a sidewalk. Who’s in control now? The recording techniques being used differ from video to video, but Weird Days, the directors of Tanlines’ Brothers, made use of our favorite device so far, because it’s interactive on several levels. 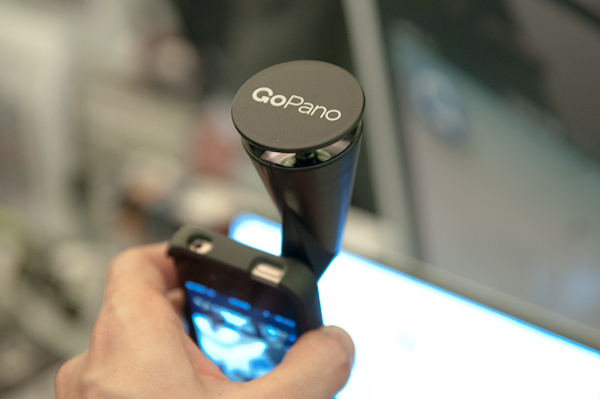 The GoPano camera was successfully realized by a Kickstarter campaign and it’s available on a consumer level. You can attach the little device to an iPhone 4 and you can make your own round shot video and share share share it via social media or the GoPano website. 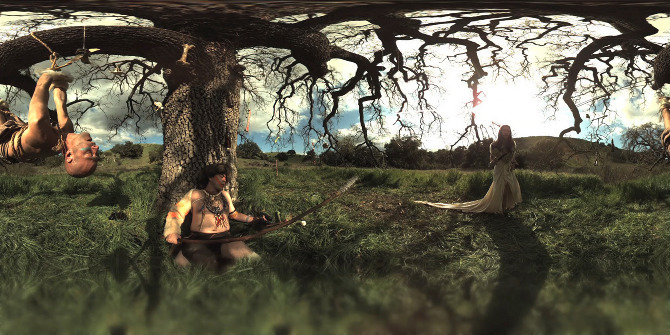 This is also a goldmine for more 360 degrees shot music videos. Basically, the camera (or a series of them) is placed in the centre point of the studio. 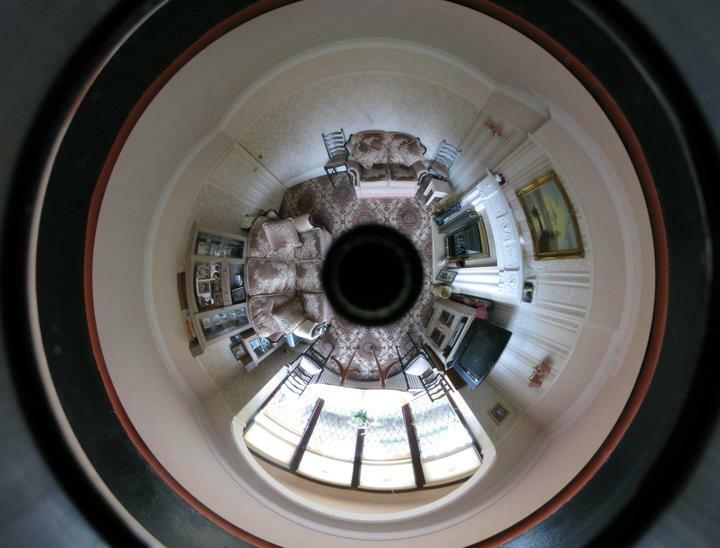 It shoots all corners of the room simultaneously with a 360 degree vision. It results in these stretched out images, which get sewn together in the editing.